What’s cool about FLPSDE water bottles is that they’ve got 2 chambers, allowing you to carry more than just your beverage of choice. 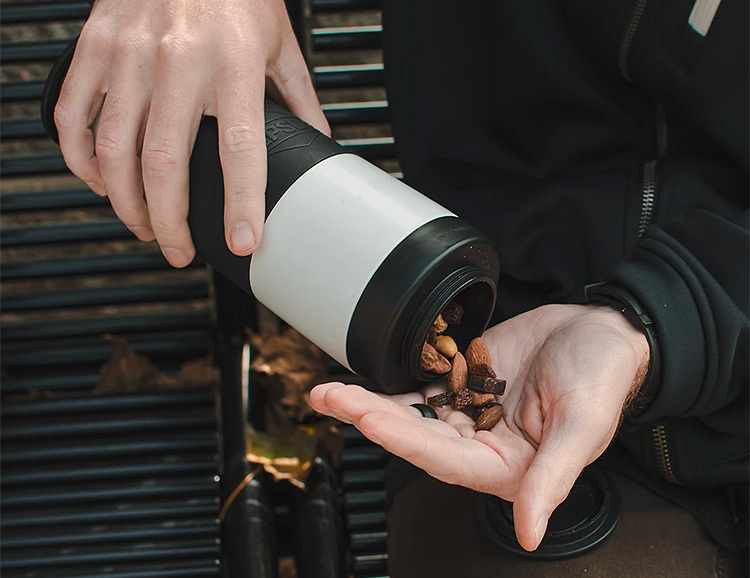 With heavy duty double-walled stainless steel construction, they hold 20-ounces of liquid as well as featuring a removable 7-ounce inner chamber where you can keep things like snacks, smokeables, keys, or even your GoPro. The bottles feature wide-mouth caps on each end and a silicone band in the middle for a solid grip.